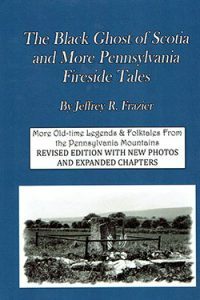 All Pennsylvania Fireside Tales volumes are beautifully illustrated hardcovers with photographs, print, and drawings. 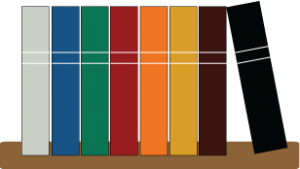 Each book is $15.00 or $90.00 for the complete set + $2.00 Shipping and Handling per book. 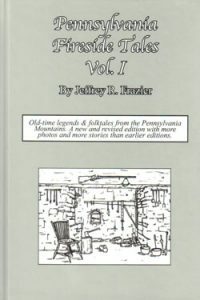 Pennsylvania Fireside Ghost Tales, the revised ‘Ghosts of Penn’s Woods’ volume, includes all the original stories plus eleven more which are even better than the originals. 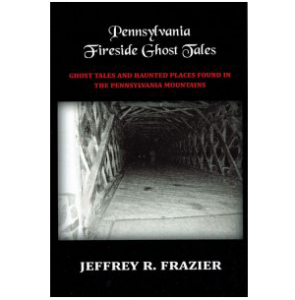 This volume of ghostly encounters is centered in and around Pennsylvania’s State Parks and historic sites, offering added incentive to spend time exploring some of Pennsylvania’s most fascinating natural and supernatural attractions. 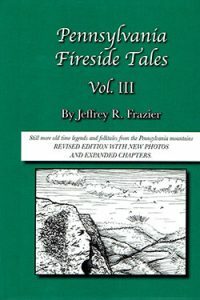 Most of the stories come directly from those who experienced them. 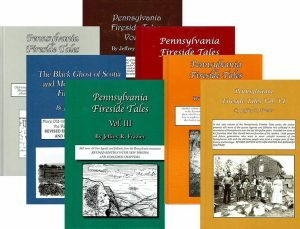 To pay by check, cashier’s check or money order, download the PA Fireside Tales Order Form, complete it and submit your payment with your order. 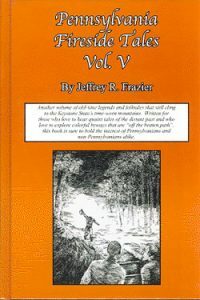 PLEASE NOTE: Slightly damaged copies are available at $7.00 each + $2.00 shipping per volume. Contact us to check availability. 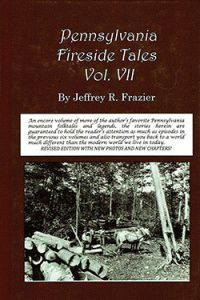 The stories found in the Pennsylvania Fireside Tales books sound “far fetched” to most of us, but that’s only because they’ve been embellished and romanticized as they’ve been told and retold over the years. 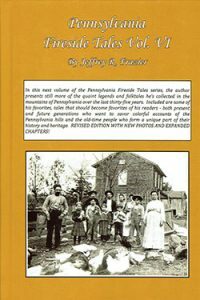 But the author has set himself up as an investigative reporter of sorts so he can treat each tale like a little mystery, exploring whether or not they have any basis in fact and trying to determine what their origins might be. 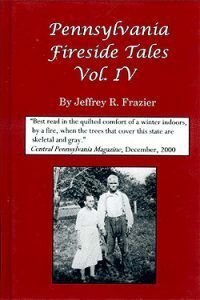 Read More About PA Fireside Tales.